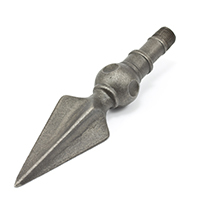 Elevate the look of your next awning design with these decorative spear heads. 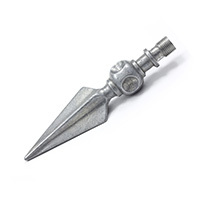 Made of iron, they’re highly durable under rough outdoor conditions while supplying a classic spear look. 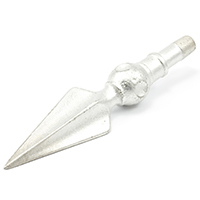 The awning spear heads are typically used at the ends of poles in window awnings, facing away from the building. Choose from aluminum, iron, and plated iron below.